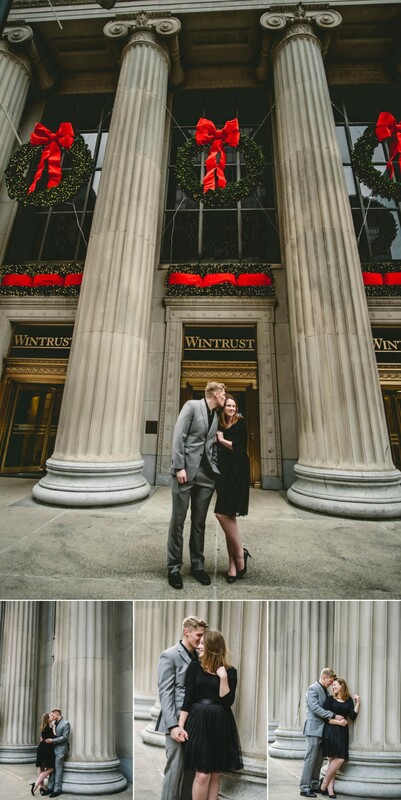 This gorgeous winter engagement session Downtown Chicago was the sweetest way to start the Holiday season. 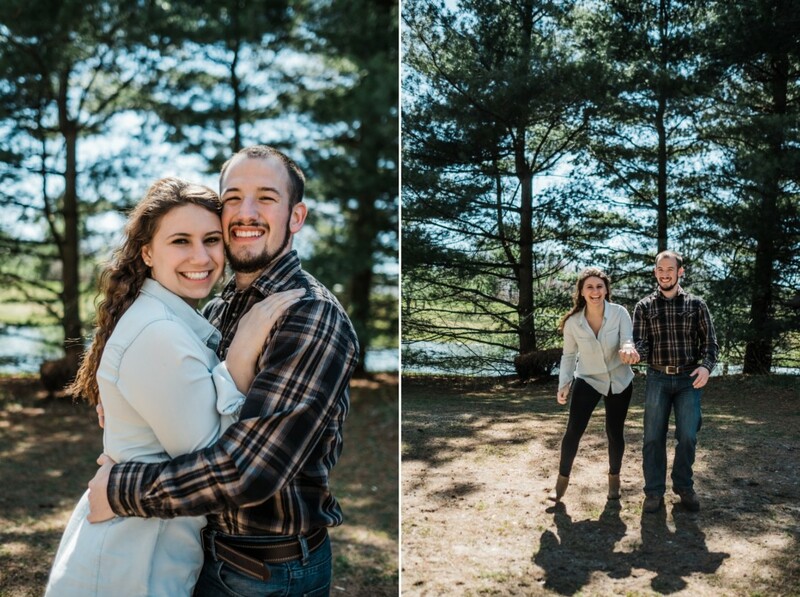 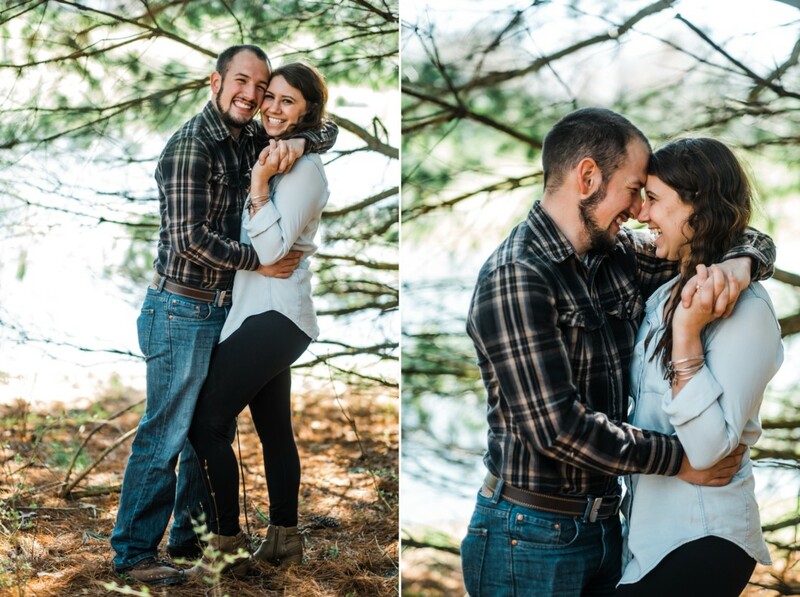 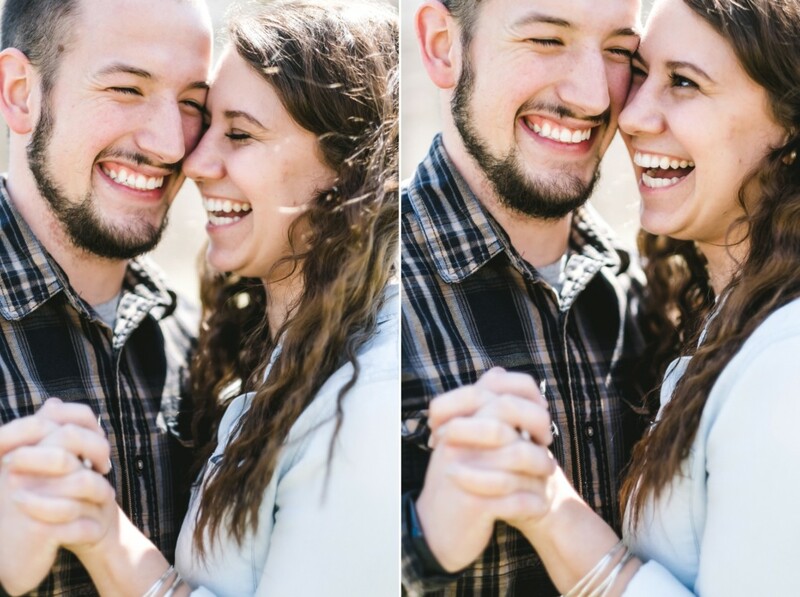 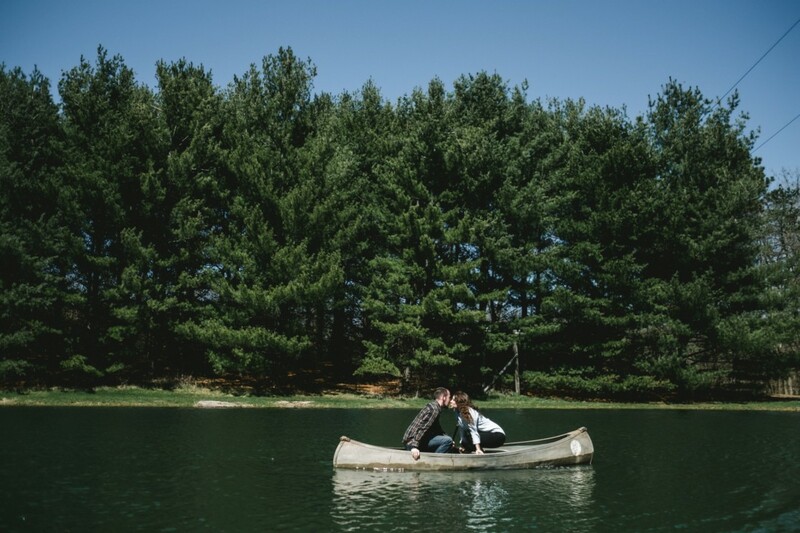 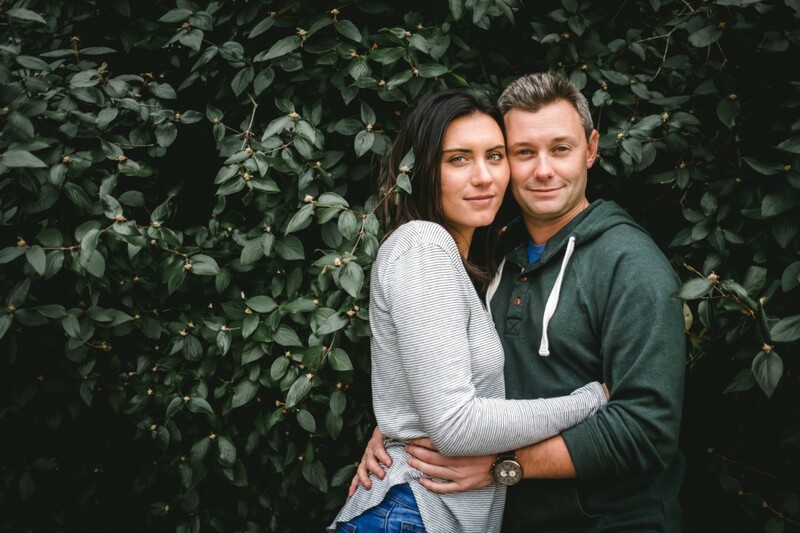 Meet Alex and Lindsay, best friends + lovers who are currently mastering the art of long-distance relationships until their Michigan wedding this summer. 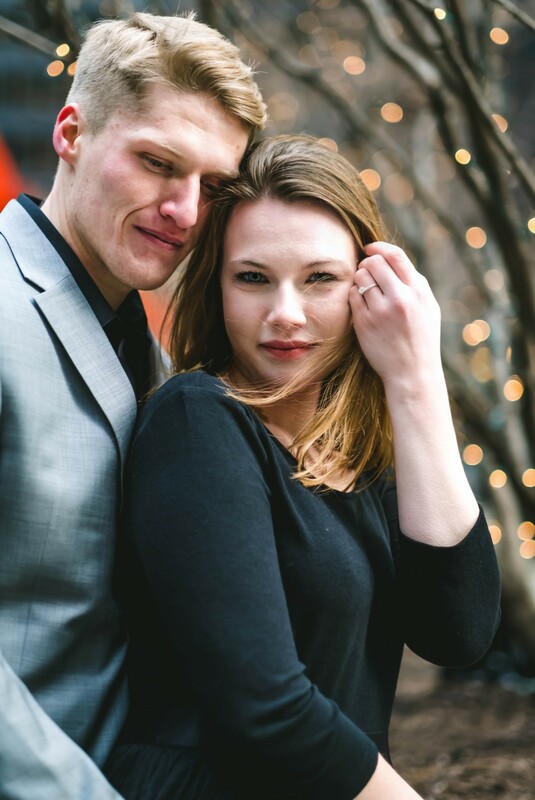 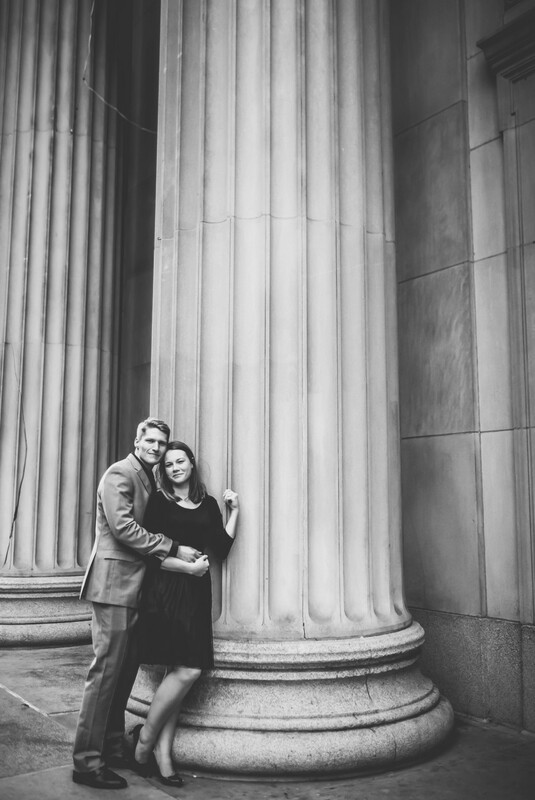 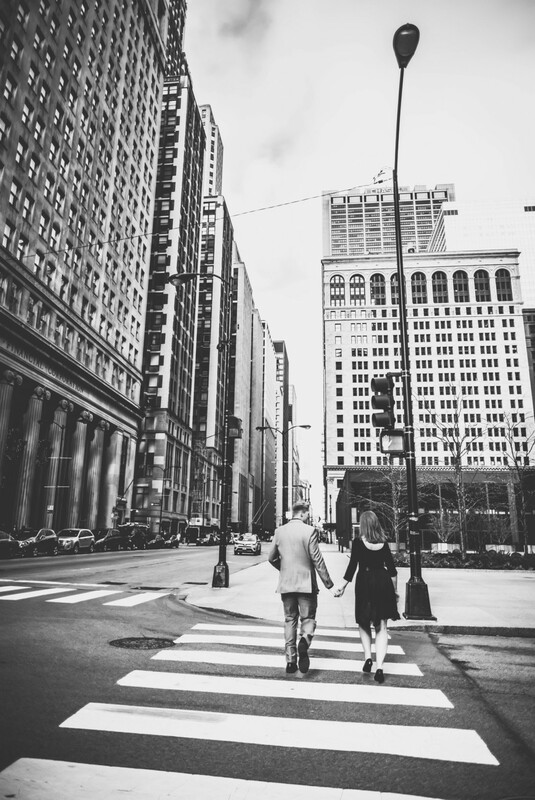 Their engagement session highlighted some of their favorite places along downtown Chicago, as they became masters at kanoodling + dodging crowds at their engagement session the day before Chrismas Eve in the Windy City! 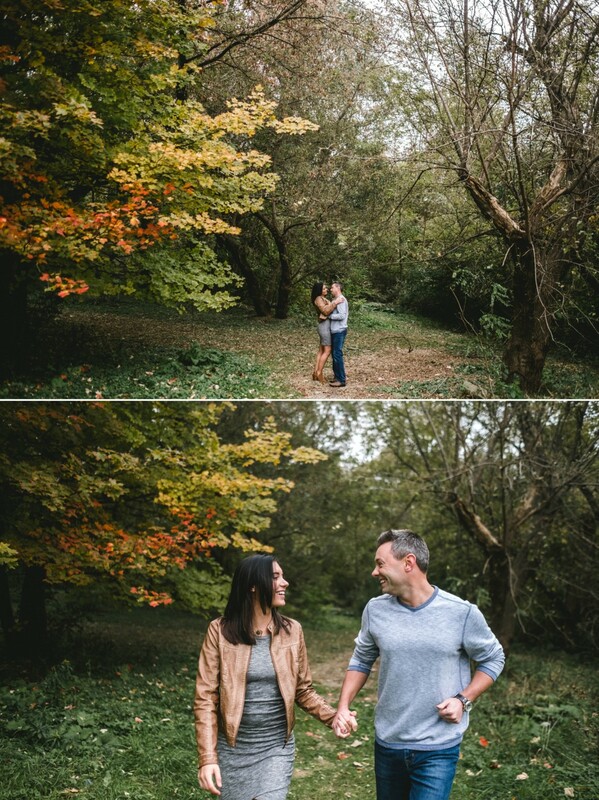 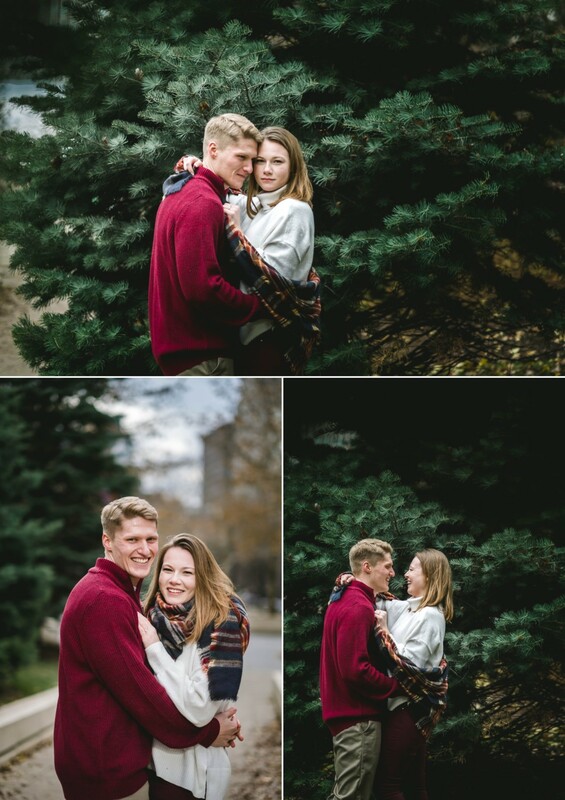 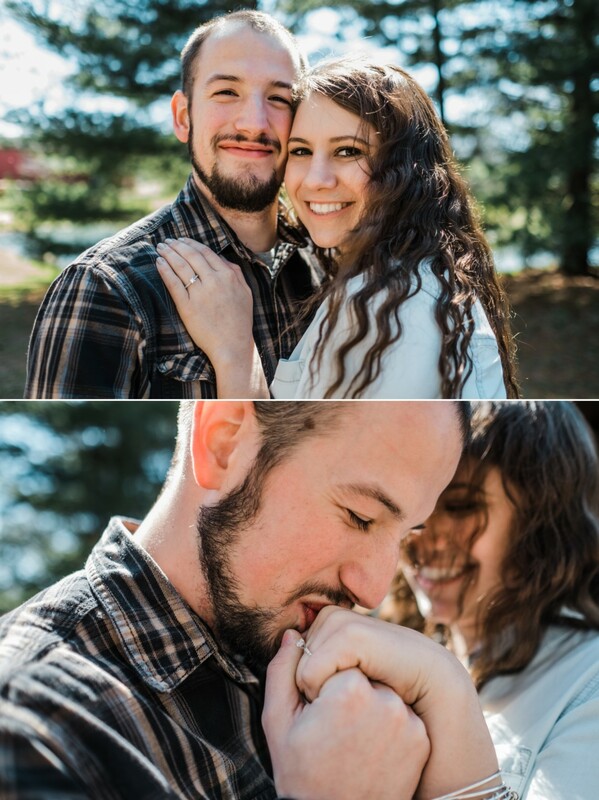 With an engagement session late in the fall, and with unpredictable weather, we got their session in right before the leaves began to change, and Michigan’s first snow of the season! 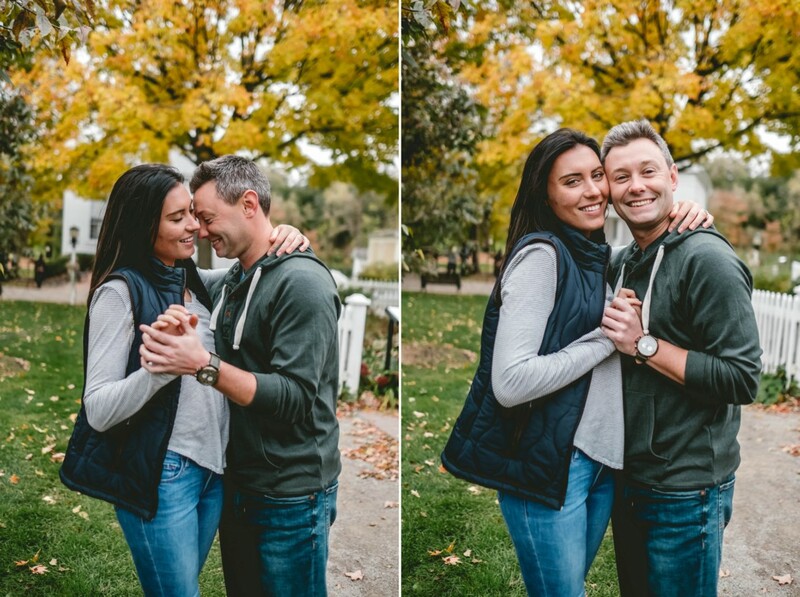 Even with the chill in the air (and the run-to-the-car-to-defrost-with-heated-seats moments), Jessica and Chris brought their own heat to this session that was pretty undeniable. 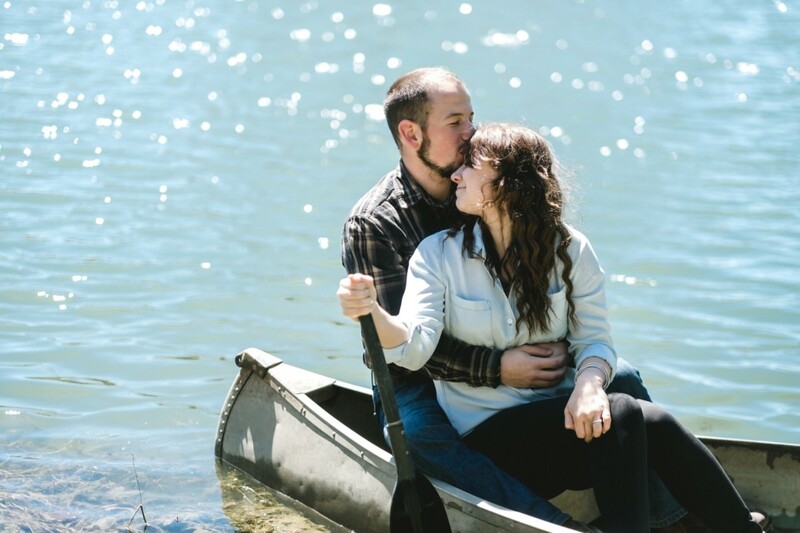 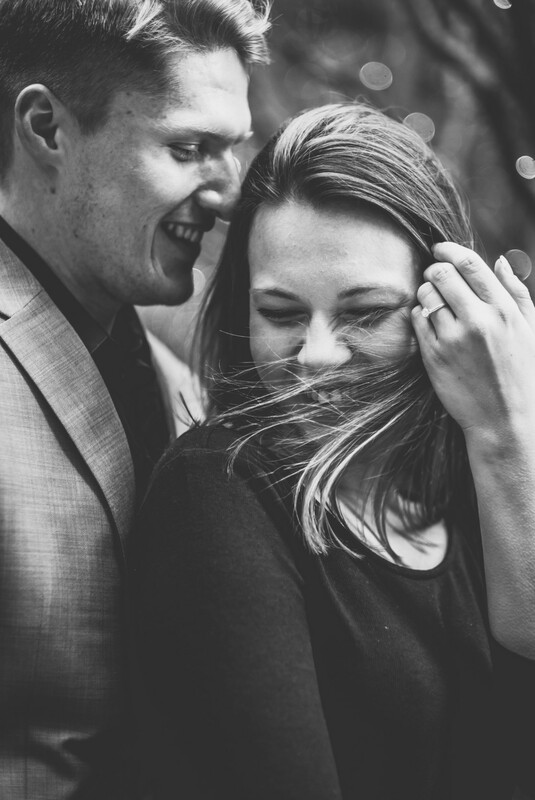 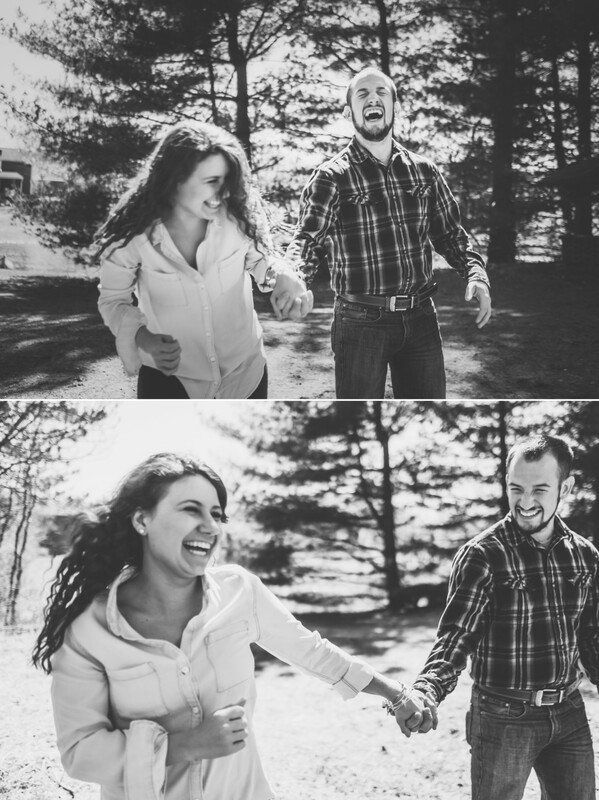 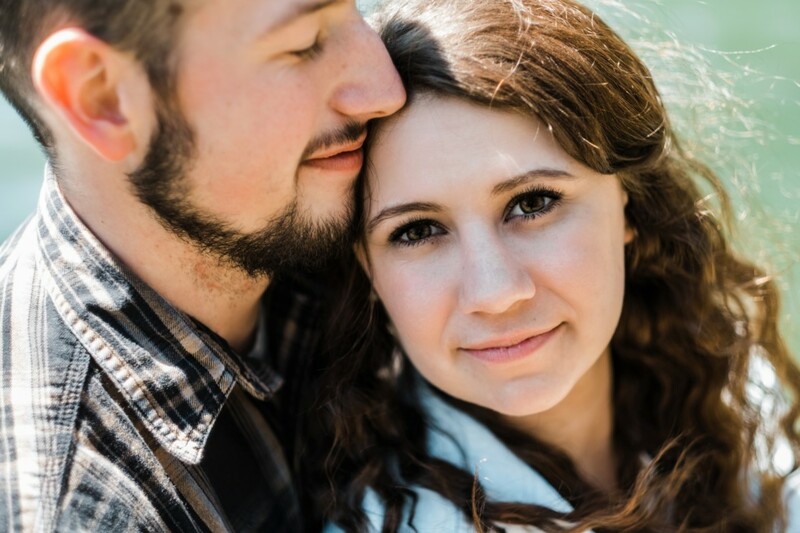 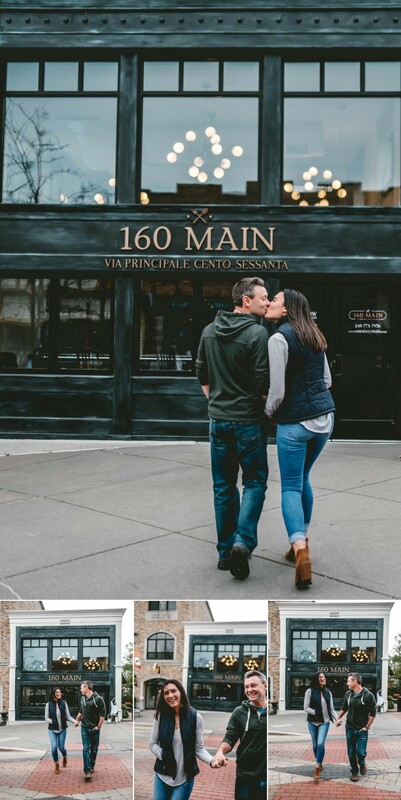 This Downtown Northville Engagement Session in Northville, Michigan provided by Dayna Mae Photography, Top rated Northville Engagement and Wedding Photographer.